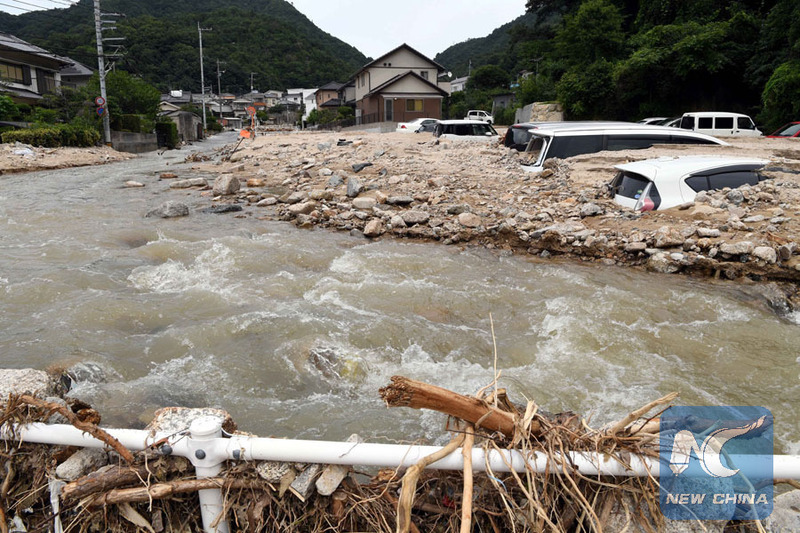 TOKYO, July 11 (Xinhua) -- A number of meteorological, natural and social factors combined to make the perfect storm, which since last Thursday has killed at least 176 people and forced hundreds of thousands to flee from their homes in western Japan, experts said Wednesday. According to the Japan Meteorological Agency (JMA) who warned of torrential rain and issued evacuation advisories and warnings on July 5, the tail end of Typhoon Prapiroon saw atmospheric conditions from western to northern Japan become very unstable, just before the deluge. This was owing to warm and moist air flowing into a low pressure system and an active seasonal rainy front close to northern Japan. The weather agency gave fair warning of unprecedented amounts of rainfall expected across wide swathes of Japan and said that the record amounts of rain would cause landslides, flooding, lightning and tornadoes. Hence, questions have been asked about the government's preparedness and local municipalities' reaction times and protocols in the face of an impending weather-related disaster that would lead to so many lives being lost. According to some experts, the government here has lagged behind others in taking preventative measures in the face of an increasing number of torrential rainfalls each year. "The government is just starting to realize that it needs to take steps to mitigate the impact of global warming," Takashi Okuma, an emeritus professor at Niigata University who studies disasters, was quoted as saying on the matter. He added that, "Japan, one of the most seismically-active places in the world, has stressed earthquake preparedness and regulations to make buildings quake-proof, but it has done less about potential flood disasters." On a municipal level, hazard maps highlighting potential flood zones and landslide spots were required to be created and publicized in Japan. In 2001, the maps were required to be distributed and by 2013, the majority of municipalities made the requisite information available to their residents. But owing to the fact that many of the homes built in potentially hazardous areas that were caught in the recent devastating downpours or hit by landslides were built prior to 2001, experts believe that following the evacuation orders, many residents did not know where to go to seek refuge. Kurashiki City, one of the hardest-hit regions in Okayama Prefecture, for example, did not receive its hazard map until 2016, and, compounding the lack of knowledge as to evacuation destinations, some experts have said that the orders to evacuate, in fact, came too late. This left hundreds of thousands of people in high-risk areas with nowhere to go, and even if they did, it would have already been too late. Other experts point out that in addition to the confusion as to where to go, others opted to just stay put and "ride it out", regardless of the warnings. 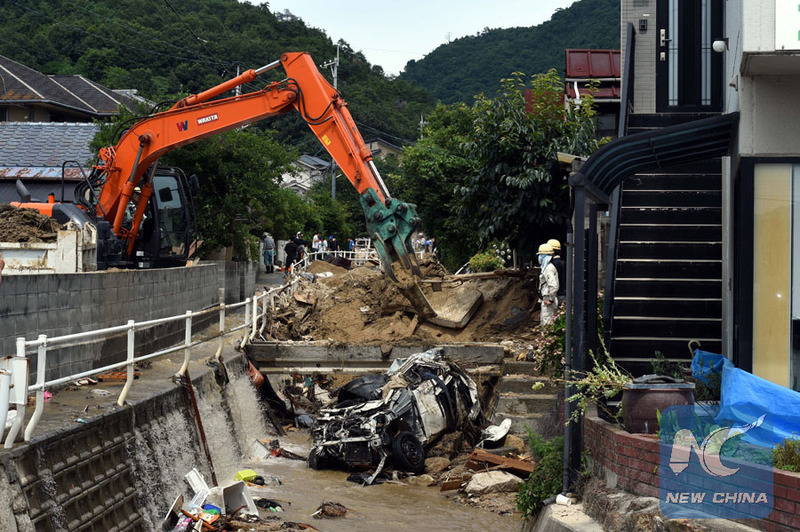 Emi Masatani, an expert from Japan Bousaisikai, a non-profit disaster-prevention organization, told Xinhua, that the disproportionate number of fatalities may have been down to not enough attention being placed on predictable weather patterns. 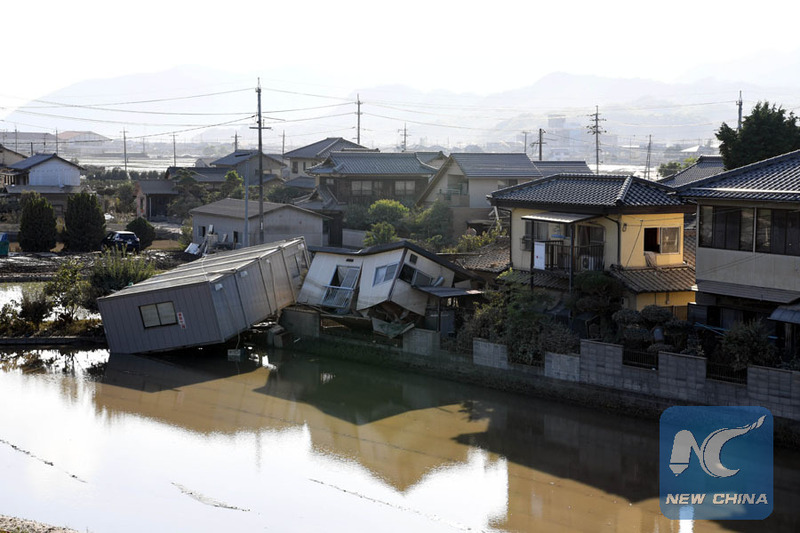 "People in Japan normally attach great importance to the prevention of natural disasters, but sometimes fail to pay enough attention to heavy rainfalls," Masatani said. According to local reports, many people also chose to stay at home, even after the weather agency issued emergency warnings and evacuation orders following the heavy rain, "thus lost the chance to escape when the floods hit or landslides occurred," she added. She went on to say that there is a certain kind of mentality in Japan where people in potentially precarious situations involving natural disasters just believe they will be alright, as they have been in the past. "It's a kind of 'fluke' mentality," she said. But, oftentimes, by the time they realize the severity of the situation, it's too late, Masatani said. Also, potentially contributing to the high death toll is not just the number of landslides -- the land ministry said there were landslides at 448 locations in 29 of Japan's 47 prefectures as a result of the torrential rain -- but their contents. According to Kagoshima University Professor Takashi Jitosono, in Hiroshima and Okayama prefectures, the landslides were found to contain large, boulder-like rocks called corestones. In mountainous regions of Japan, rainwater seeps into the cracks of the granite and the rock begins to erode and crumbles into the soil. Jitosono has called for more netting or barriers in such areas that have evidence of exposed corestones, to prevent them from falling down the mountains. In addition, post World War II reforestation policies saw numerous mountains logged for resources and replanted with trees that have roots with a far lower capacity to retain water. As with the corestones, when the trees' roots become inundated with water from the torrential rains, they are easily uprooted as the land shifts and also add to the danger level of landslides.